I remember the time my cousin and his wife visiting me from Australia last year, he said good coffee in London is hard to find. I suggested for him to stay in the Shoreditch/Old Street area, known for hidden spots for coffee. 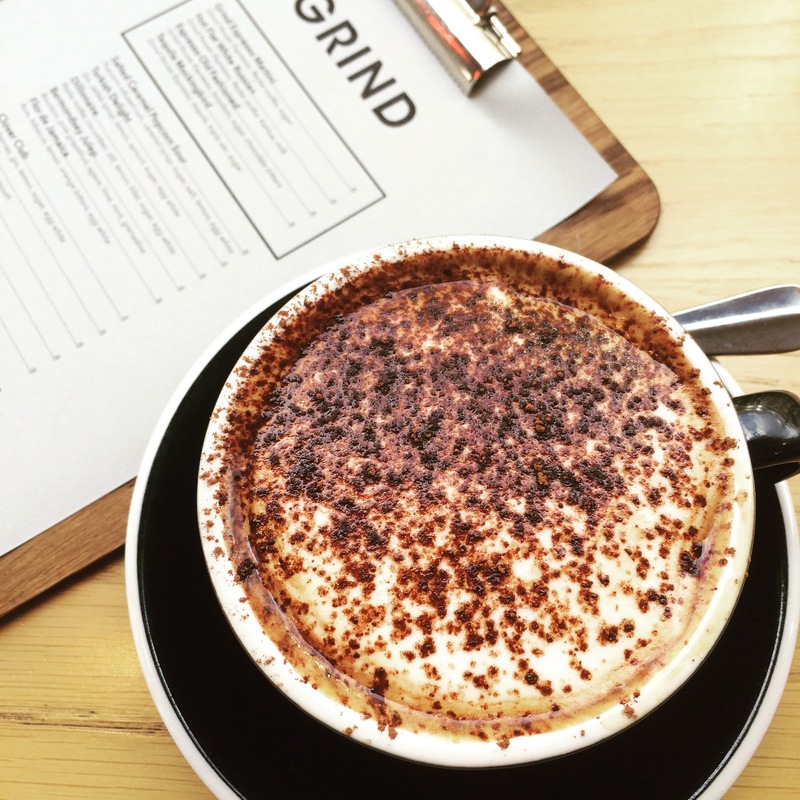 Shoreditch Grind is created by David a Londoner and his friend Kaz from Melbourne. Holborn Grind is their second branch. The independent coffee and cocktail bar is located next to The Hoxton hotel in Holborn. After the Bloggers market event, I went next door to Holborn grind for a coffee. Getting my usual coffee choice a soy cappuccino, I perched myself by the window watching people pass by. As the coffee arrived, I inhaled the rich aromas, looked at the frothy whipped light milk, taking the first sip, the heavenly roasted flavours stood out. The coffee is outrageously amazing, the atmosphere at the Holborn grind is chic, and if you don’t fancy a coffee, you are in luck, cocktails and beers are also available and as the night darkens an evening food menu.